A person entering the study of law is faced with the fact that there are numerous sources of law in Australia. This is a task in itself but is made harder by the fact that Australia possesses sixteen legal systems, being the Commomwealth, six states and nine territories. 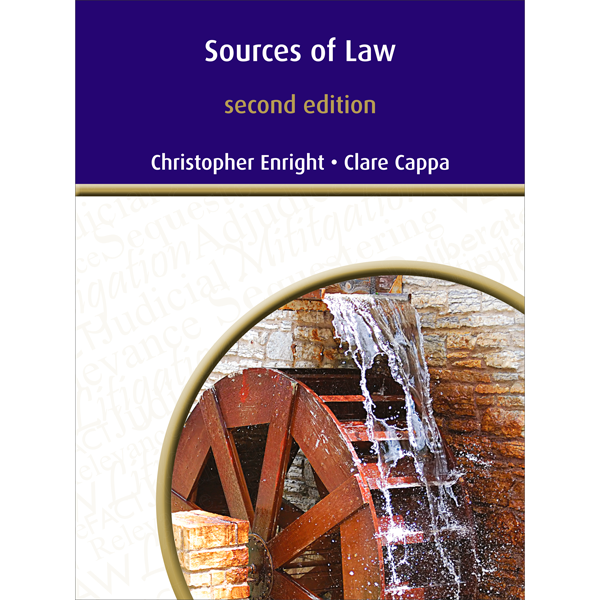 The purpose of this book is to explain the nature of the sources of law used in these legal systems. Statutes enacted by legislature, generally called a parliament, are the major type of law. Statutes are the means by which governments can intervene directly and spontaneously into the lives of their citizens. In addition, some statutes authorise another level of legislation by delegating power to some official to make subordinate legislation (also called secondary legislation, subsidiary legislation and more commonly delegated legislation). Courts interpret statute. In addition, in former times courts were themselves a legislature in that they made common law rules as the occasion required. Nowadays the courts largely leave this social intervention to parliament but may modify a common law rule or in some cases abolish it where it no longer serves a useful function. While statutes and common law are the main types of law there are some special types of law. These include conventions of the constitution, laws for the conduct of parliament and international law.